Looking for a super simple little gift idea? Then what about making some Essential Oil Clay Bead Keychains?? I was lucky to have some ready made natural clay beads on hand.... they are raw and rough and absorb a couple of drops of Essential Oil so beautifully. Mix all the ingredients - knead. The Salt dough can be baked or air dried...from what I read air drying works well but can take a few days. 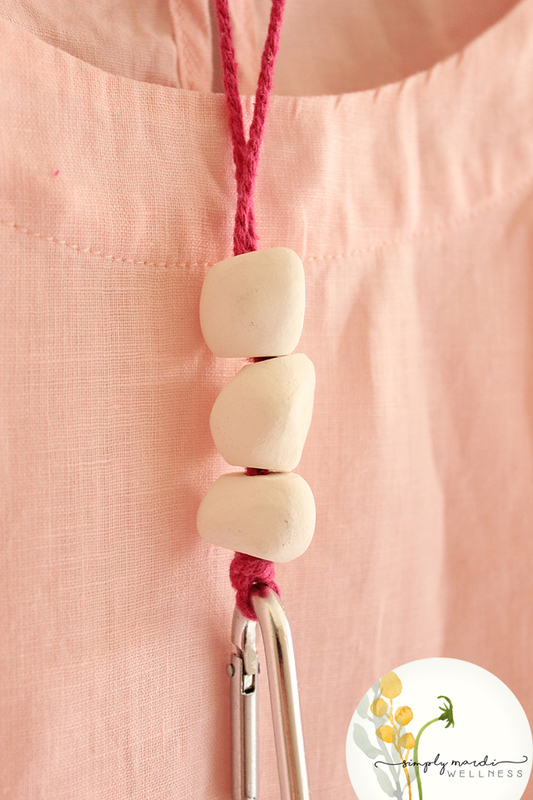 Thread your beads on to the cord... attach the ring or lanyard hook. 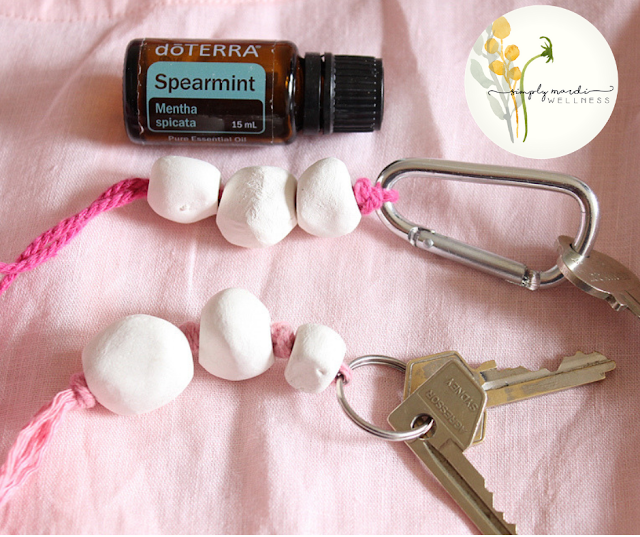 Apply Essential oils to the beads and allow it to absorb. I used Spearmint and they still after days.... have a beautiful Spearmint aroma. I would be mindful of the essential oils on the lanyard if you are wearing it against your clothes - maybe add the drop in an area that wont come in contact with the fabric. If you would love some oils in your life.... please reach out so I can help. We love oils in our home... and living a simple and healthier life is so important these days when everything is so fast paced.... lets all live the best life we can.